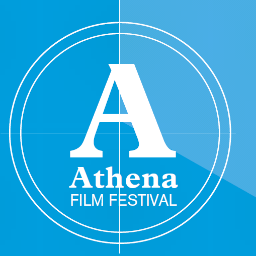 Attend the Athena Film Festival in West Harlem, four academy award nominated films to be featured | HarlemGal Inc.
Now in its third year, the Athena Film Festival, a celebration of women in feature films, documentaries and shorts that highlight women’s leadership in real life and the fictional world will be held in West Harlem at Barnard College from Feb. 7-10. The four-day festival, which includes conversations with directors and Hollywood stars and workshops for filmmakers, has built a reputation as one of the most prestigious festivals of its kind that focuses on women and leadership. The following are big highlights of the Festival. Producer Yael Melamede will join the audience for a Q & A session following the screening. Executive Producers Maria Cuomo Cole and Regina Kulik Scully will join the audience for a Q & A session following the screening. Director Angela Alford and Team Captain, Judy Barton will join the audience for a Q&A session following the screening. Director Bonnie McFarlane will join the audience for a Q&A session following the screening. Q&A Cecilia Peck (Director) & Inbal Lessner (Producer/Editor) will join the audience for a Q&A session following the screening. For additional information, please visit: http://athenafilmfestival.com/. This entry was posted in Community, education, entertainment, Events, film, Harlem, New York, New York City, NYC and tagged Barnard College, bonnie mcfarlane, diana center, Entertainment, Harlem, hollywood, maria cuomo cole, oscars, The Athena Film Festival, West Harlem. Bookmark the permalink. Sounds interesting. I might take in one of the films. A point of clarity though, Barnard isn’t in West Harlem. Thanks Ray for commenting. Why do you say Barnard is not in West Harlem?